SPIDER-MAN INTO THE SPIDERVERSE is a cinematic marvel when it comes to animation and easily the best Spider-Man movie ever. There’s loads and loads of content filled in this one and honestly, it’s one of the best origin stories for a comic character on the big screen, I’ve ever seen – Couldn’t have asked for a better introduction to Miles Morales. There’s so much activity going on every minute in this movie, that you would just like to sit down and enjoy the hell out of it. I did. Loved every minute of it. The animation is great, voicing is flawless, the soundtracks are both exciting and heart warming and the 3D is amazing. The best part of this movie is the comic-book style storytelling with captions and occasional speech balloons along with the unique animation style, that was a perfect fit with the series of events. All the different Spider-Man characters from different dimensions did full justice to their arcs. My favorite one was Spider-Ham a.k.a. Peter Porker. He was totally hilarious and absolutely bonkers. Peter B Parker’s coaching and motivations towards Miles and their beautiful relationship made me shed a tear. There’s a ton of Spider-Man villains straight out of the comics in here, which adds cherry to the cake and all the action scenes are superbly collaborated. Also, there’s this one sequence I’d like to mention where Miles Morales tries to find himself as Spider-Man, capitalizing on his powers while trying to control them on command, which was the most heart-touching scene for me. The final fight sequence was crazy and the visuals for the same were some of the best animation I’ve ever seen. The third act was as stunning as it could be. Honestly speaking, I couldn’t find any flaws either. 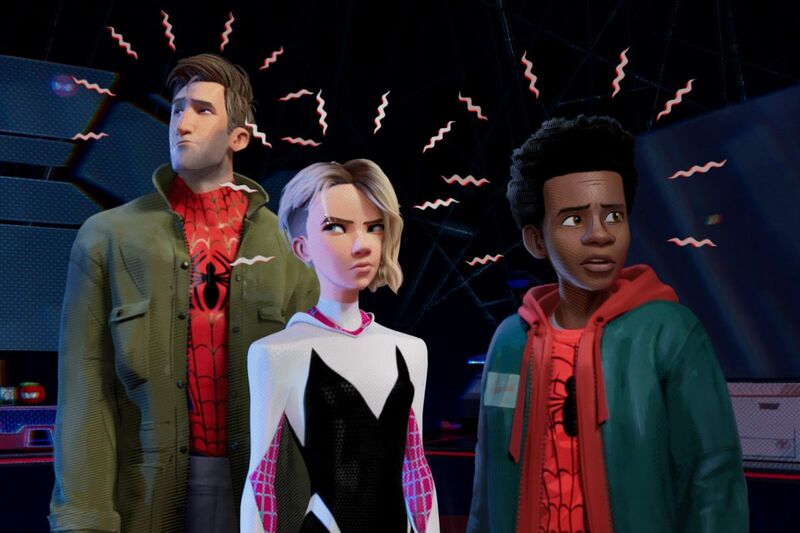 Verdict: Spider-Man Into the Spider-verse is arguably the best CBM addition of the year, and probably one of the best CBMs’ in recent years. Kudos to Sony for finally pulling off something great with their set of Marvel rights, after a long-span of time. This movie sure had a lot of heart, yet was hilarious and entertaining throughout its runtime. ← Sense8 Series Finale gives a stunning send off to the beautiful GEM of a show. Great post! I’m such a comic book nerd so I really enjoyed this. I will for sure come back for more! We really enjoyed this movie. The kids thought it was absolutely amazing. I loved your review.